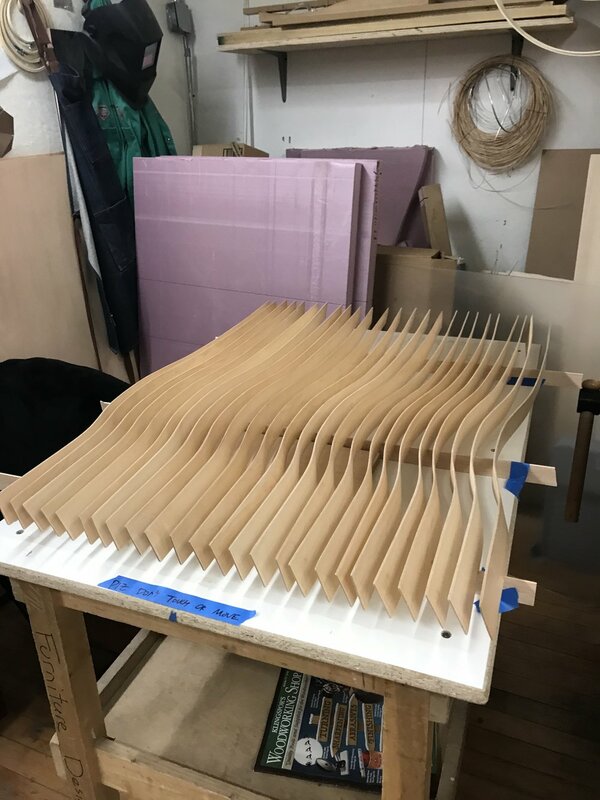 This was my first attempt at bent-lamination, a technique used to create interesting shapes by laminating layers of veneer together then forming them. By imitating the form of a wind turbine I wanted to express the feeling of fluidity and flow. The result was a lightweight hollow structure that could be disassembled and reassembled due to its tight pressure fit joints.